Canada’s Agriculture Day started in 2016 and was launched as a day of celebration for Canadian farmers and producers. This year, February 12, 2019 brings special attention to our agricultural industry and the pride we share in growing food. Let’s all take time today to celebrate and recognize the strong, innovative and diverse industry we are all a part of. 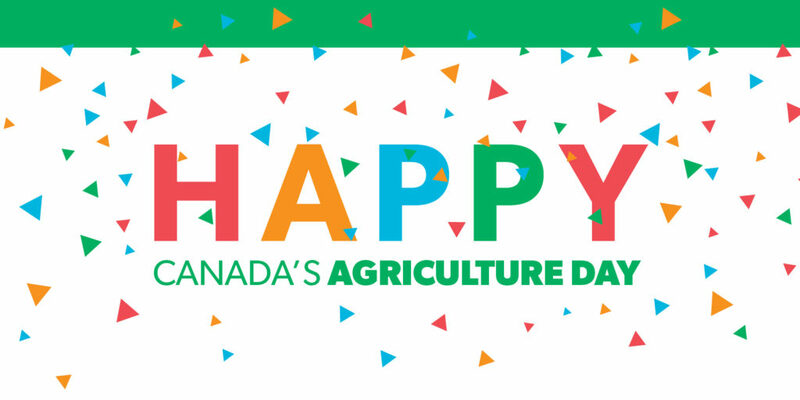 Canada’s Agriculture Day is part of Farm Credit Canada’s Ag More Than Ever campaign and organizers are encouraging everyone to mark the day in their own way, to celebrate Canadian agriculture in engaging, fun and respectful ways. From organizing an event to enjoying an all-Canadian meal, Canada’s Agriculture Day is a toast to our industry. Use the hashtag #CdnAgDay to join in the conversation on social media. We are proud to have Canadian farmers that help put safe and nutritious food on tables across the country and around the world. OFA encourages everyone to participate and share in the celebration of Canadian farms and agriculture on February 12, and take pride in the contributions we make to the food system. For more details, celebration ideas and social engagement tools, please visit CdnAgDay.ca.